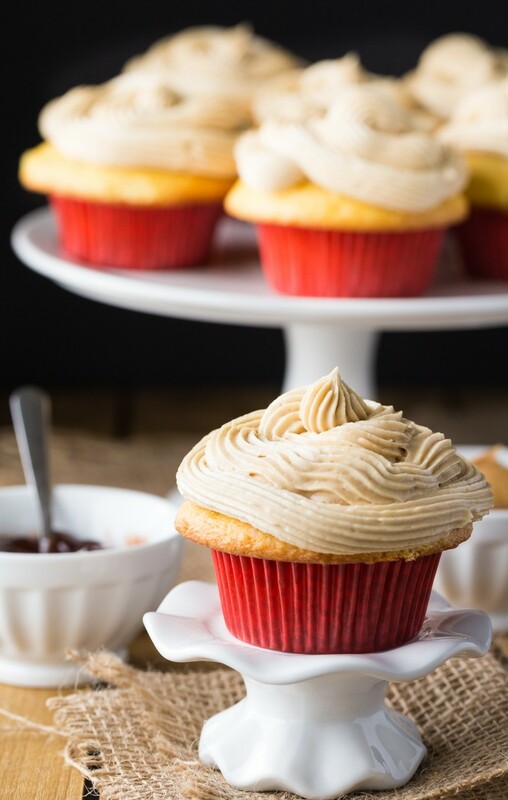 Peanut Butter & Jelly Cupcakes - Frugal Mom Eh! 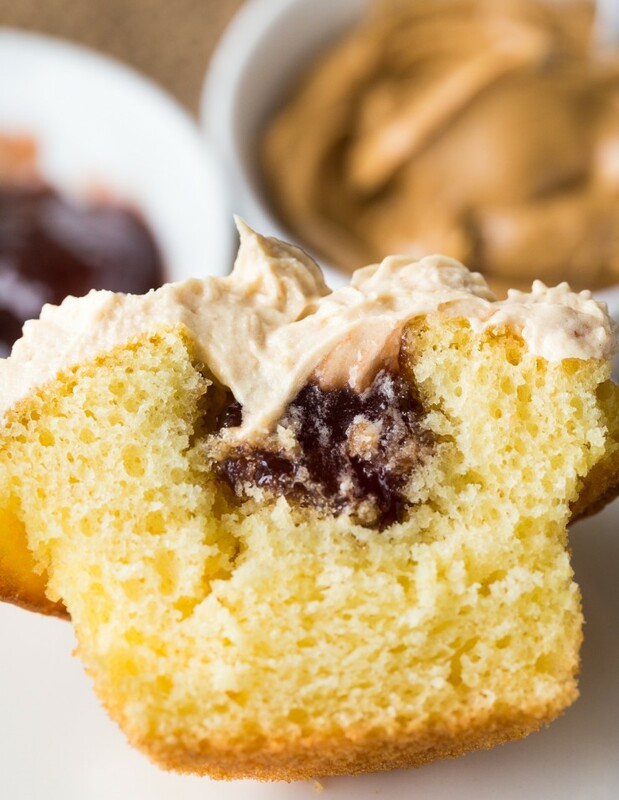 These Peanut Butter & Jelly Cupcakes turn a classic sandwich into an easy to make and very nostalgic cupcake. 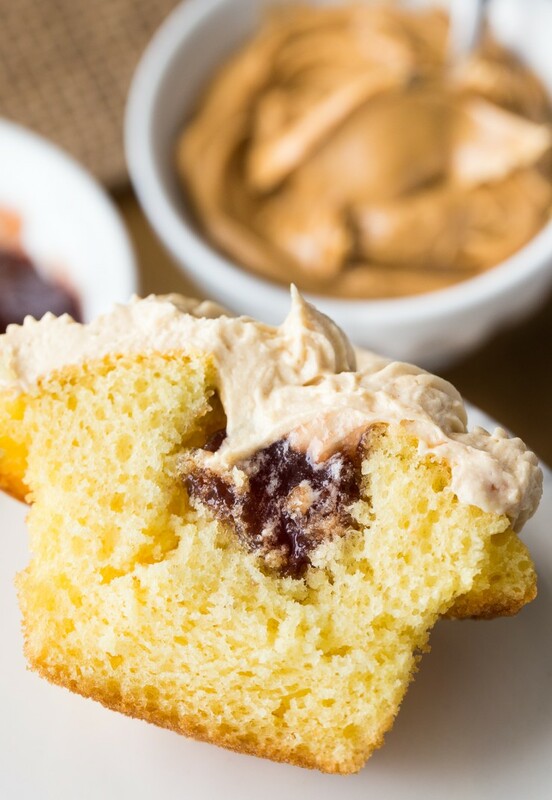 Perfect for all the pb & j lovers out there! That secret jelly filling though? That is everything! Yum. The light and fluffy peanut butter buttercream frosting is my absolute favourite frosting of all time. If PB & J isn’t your thing, try it on your favourite chocolate cupcake recipe for out-of-this-world peanut butter and chocolate cupcakes! Prepare cupcakes as directed then allow to cool completely. Fill a pastry bag fitted with a medium round tip with jam jelly and insert tip into the top of the cupcakes and squeeze gently to fill centre of cupcake. 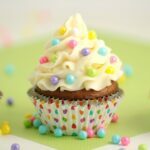 Alternatively, if you do not have a pastry bag, use a cupcake corer or knife to cut out a small cylinder from the top of the cupcakes and carefully spoon in the jelly. Cream together Butter and Peanut Butter in a medium sized bowl until smooth. Slowly add Powdered Sugar until mixed in and then add Vanilla. Add Milk a tbsp at a time and mix until light and fluffy, about 2 minutes. 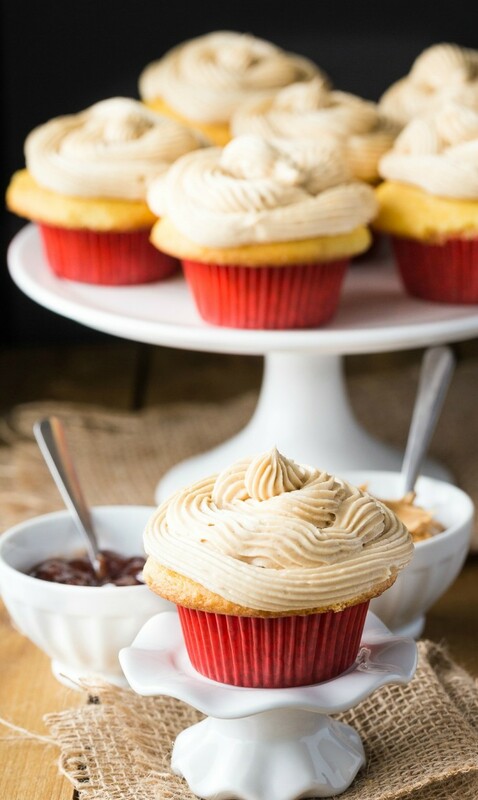 Pipe Peanut Butter Frosting onto cupcakes. 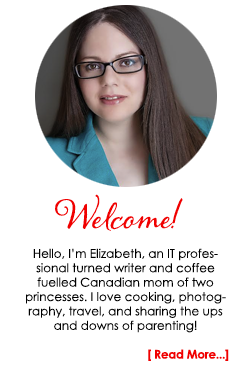 This post was originally published March of 2013 on FrugalMomEh.com. 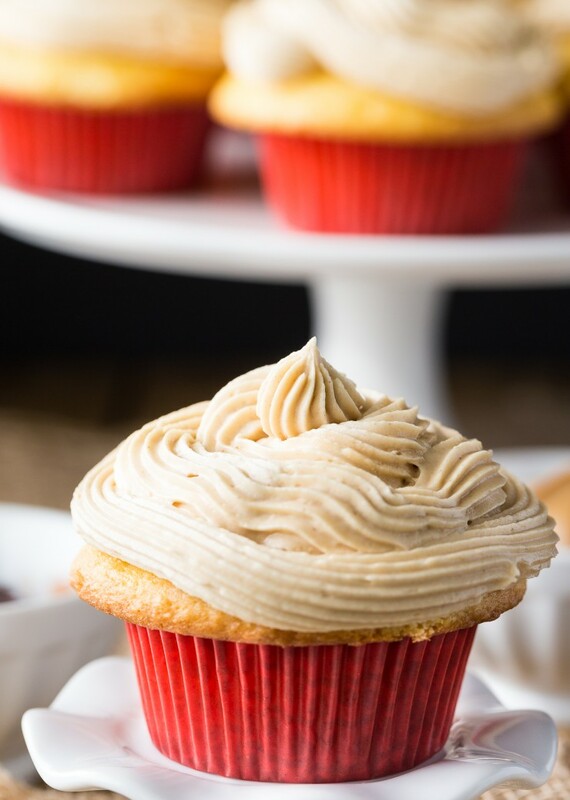 Knowing about peanut butter frosting is going to be a life-changer, I can feel it. The picture itself makes my mouth water. This is a must try for me. That Peanut Butter Frosting sounds awesome! Gotta try it! Love the peanut butter frosting. Sounds so delicious. Thanks so much for the recipe. 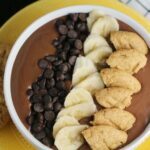 The peanut butter and banana ones sound really good! Super yummy!! Getting hungry now! I would make this for my son if he wasn’t allergic to peanut butter. 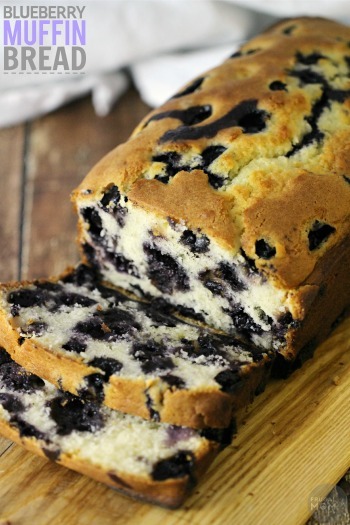 This looks yummy, I’ll be making this for the family soon! Can’t wait to try these my kids love peanut butter and jam. 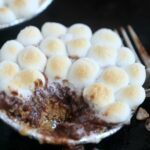 These look very yummy and easy to make. 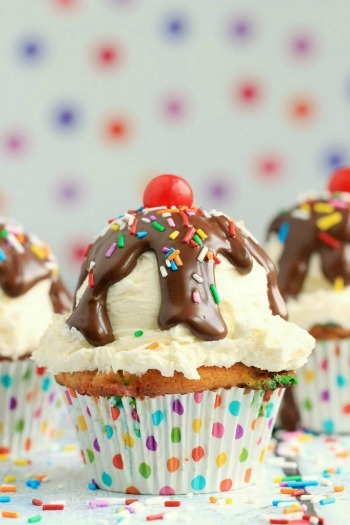 These cupcakes looks awesome, I am so into cupcakes these days which is not great for my weight loss. 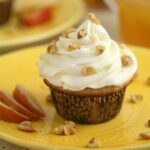 Peanut butter icing is so something I have to try!! 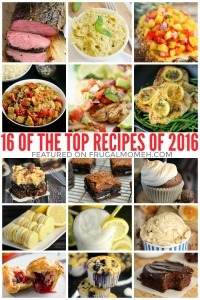 Love peanut butter these all look so delicious! Who doesnt love cupcakes . Some people prefer to make them instead of cakes especially for kids birthday parties. 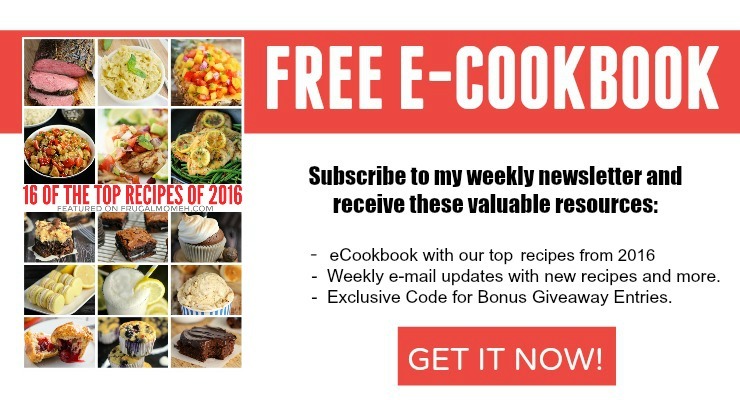 Thanks for the wonderful recipes for them. They will like the PB and jelly ones. Tho I am just satisfied with a chocolate cupcake with peanut butter icing on it. I haven’t made cupcakes in a while. This looks delish. I think the girls would love them. These sound and look amazing. Makes me want to do some baking this afternoon! Thanks for the recipe! Love peanut butter goodies, thank you! What a cute idea! They look delicious! oh wow, this is a new one for me!! I got like 5 big jars of pb and 8 of jam LOL, I’m gonna have to give these a try and see if the girls like them, I know I would lol. 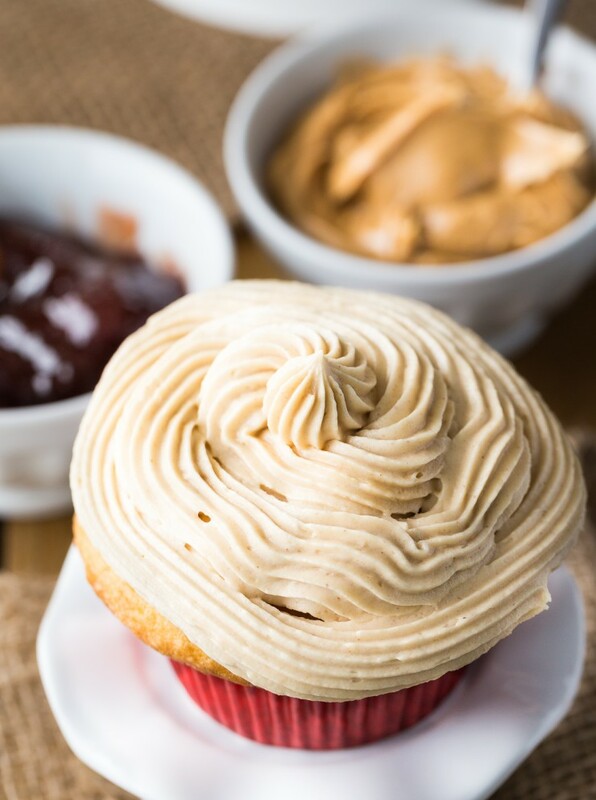 Peanut butter frosting just changed the way i do things…………..so delicious!